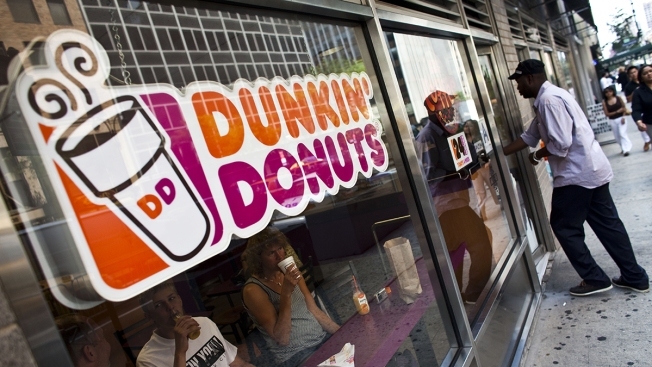 A customer enters a Dunkin' Donuts store on July 11, 2011, in New York. There have been lots of recent changes to Dunkin' Donuts' menu recently in some places, and now the company is reportedly looking to ax some of its doughnut varieties. WJAR reports they were told by Dunkin' that the company is making the move in order to improve quality. With changes taking effect by the end of October, some stores will lose up to six flavors. It's unclear which flavors will be retired; however, WJAR reports the company will keep new flavors such as "Maple Bacon." The company started eliminating other menu options in August, including afternoon sandwiches, certain muffins and some bagel flavors. The menu changes were announced around the same time the company announced its customer traffic slowed in U.S. stores during 2017's second quarter.